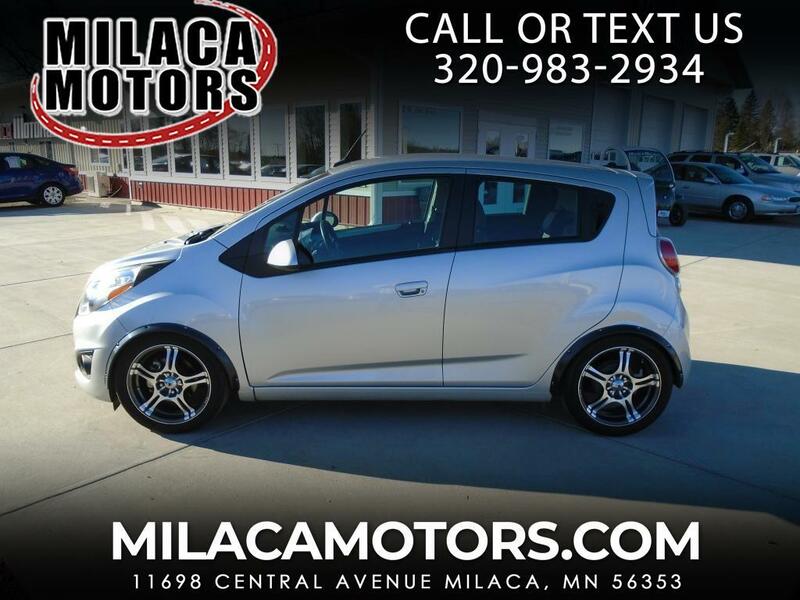 This 2014 Chevrolet Spark is a city car equipped with a 1.2-liter 4-cylinder engine that produces 84 hp and 83 lb-ft of torque, paired with a 5-speed manual. Features include 15-inch wheels, halogen headlamps, satellite radio, USB port, accented bucket seats, and keyless entry. Safety is comprised of 10 airbags with specifically modified bags intended for small vehicles, hill start assist, traction control (TCS), and tire pressure monitoring (TPMS). THIS IS A VERY CUTE LITTLE CAR AND HAS VERY LOW MILES. COME OUT AND SEE AND DRIVE THIS SPARK TODAY.